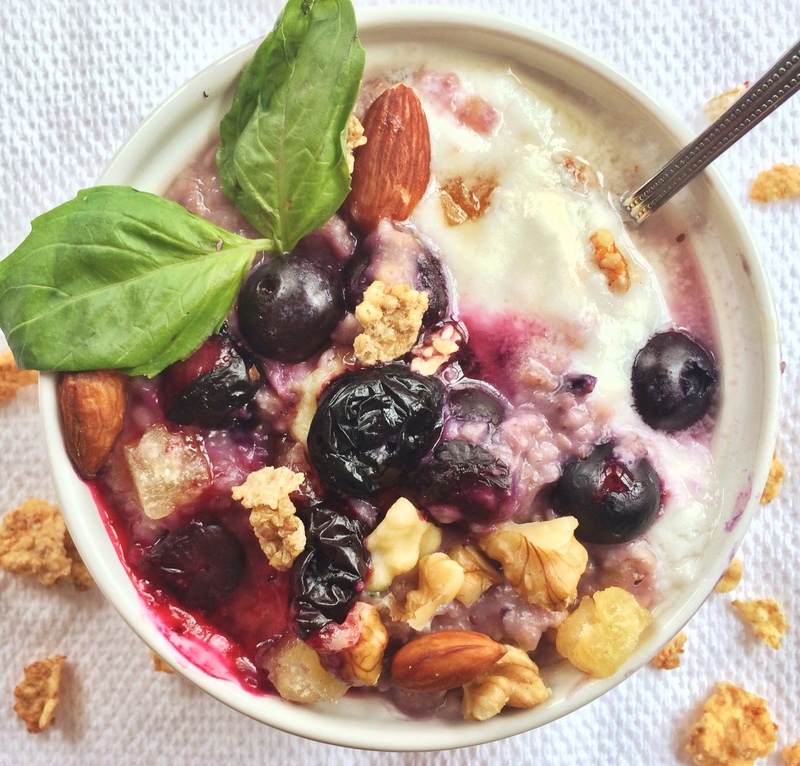 Will you berry me, Breakfast Blueberry-Nut Oatmeal?! What a nice morning to wake up to a lovely snow flurry that really came out of the blue(berry)! Nothing keeps the holiday spirit alive throughout the winter months quite like a beautiful snow globe view from my windowsill. And what better way to accompany a gorgeous snowfall then with a warm bowl of oatmeal accompanied by a blueberry-nut topping?! In small saucepan cook oats, granola, and milk over low-medium heat for 3 minutes. Then add frozen blueberries, a splash of water, and a drizzle of honey to create a blueberry compote consistency. Cover saucepan and cook for 4-5 minutes, mixing occasionally. Transfer oatmeal to ramekin or bowl and top with a dollop of yogurt and nuts. Bon appétit! Previous Post Holy crepe, it’s 2015! Next Post Get oat-ta town…did you say Coffee-infused oats? !